As yesterday we talk about the consumption of OTAKU, today we will continue this topic. Do you like testing? So come on! 1. Have the habit of taking bag, and there always have one or more comic books in it. 2. When your friends hang out with your friends and feel boring, they will borrow comics from you. 3. When you meet with your friends, they will ask you “do you have the new comic books” each time. 4. You often have one PS on your bag. 5. Have one or more comic records CD or MD in your bag; or over half of your music on you ipod is related to the cartoon. 6. You used to listen the ACG radio play. 7. Over half of your music is related to the cartoon or TV games. 8. Your sound equipment has used to play animation, games and relative music of all its service time. 9 Half of the web sites you browsing are related to the ACG, including the Doujin sites. 10. Used to watching comics by the Pocket PC on public area. 11. Over 100G capacities of your disk are about to the comics’ pictures, Doujin pictures. 12. Pile up hundred of books or items which related to the ACG, and it last over 3 months. 13. Over 5 game hosts at home. 14. Have one or more ACG poster posting on your wall, and the left over 20. 15. When you want to find one ACG item, this item will disappear, but when you cleaning, this item will appear. This phenomenon was called “space quartic element”. 16. Every cleaning you will find some precious and disappeared ACG items. 17. Your parents always warm you to clear up these items; otherwise, they will lose them. 18. Treat these comic collection as your life, and prohibit anyone touch them except your co-religionists. 19. Sometimes,, you afraid these books will kill you when occur an earthquake strikes. 20. Like to record the animation when watch it, and do not cut ads. 21. The animation videotape over 20, or the DVD-R over 50. 22. Once try watch one animation over 20 episodes at a time. 23. One of over animation have been watched for 3 times. 24. Have no resistance with those words: First Neowing, Order Neowing, Global limited distribution. 25. Go to the comics shop twice a week or more, even though you have no plans for the consumption. 26. Go to the animation commodities shop twice a week or more, even though you have no plans for the consumption. 27. Go to the model shop twice a week or more, even though you have no plans for the consumption. 28. You will find the ACG, model shops at first when you come to strange places. 29. Once tried watching animation over half an hour stand at the shop’s door. 30. The clerks of ACG, model shops are familiar to you. 31. Find some like-minded peoples at these ACG shops, and even talk about the topics over one hours. 32. Compare the films or TV plays with the ACG works constantly. 33. The most places you have gone are the ACG. Model shops each you go to the Japan. 34. Know the detailed info about the Video game shops, Doujinshi shops. 35. The baggage usually overweight for the comics books. 36. Have joined the cosplay activities. 37. Have made of the Doujinshi related to ACG. 38. Have been to the komike or TV game exhibition, and each time over one day. And the sorceress’ twin sister, who possesses a powerful amulet the apprentice tries to steal. Watching the film is like experiencing someone else’s dream: it’s fascinating but frustrating, a journey that’s often thrilling but also frequently absurd, and with a destination that seems banal by comparison to what’s preceded it. 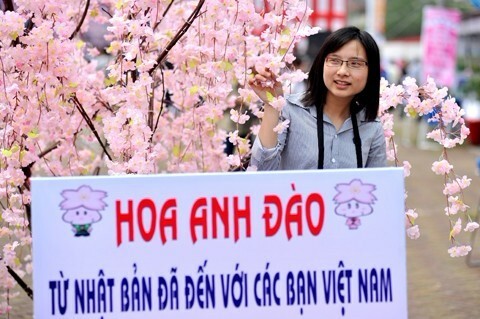 The Cherry-blossom or Genki Festival 2011 will take place in Hanoi on April 16-17, aiming at bringing Japanese culture closer to Vietnamese and enhancing the 40-year relations (1973-2013) between the two countries. The two-day festival will have various activities, including displays of silk cherry flowers and Japanese lanterns, food introduction, exhibition of large-famed paintings on four seasons in Japan, cosplay performance, and Yosakoi dance. 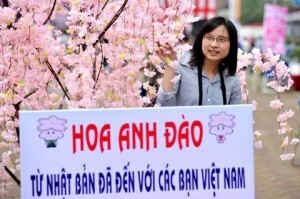 During the festival, the organizing board will sell souvenirs to raise fund for children who suffer from Agent Orange at the Hoa Binh village in Thanh Xuan district, Hanoi along with launching a campaign to help Japanese victims of recent earthquake and tsunami. The festival, which will take place at the Giang Vo Exhibition Center, is organized by the Vietnam Ministry of Culture, Sports and Tourism in collaboration with the Japanese Embassy in Vietnam. Starting in 2007, the annual cherry-blossom festival attracts many young people who love cherry flowers and Japanese culture.